(Source: SEC) The Securities and Exchange Commission on October 18 charged a California-based immigration attorney and her husband in a fraudulent scheme that generated millions of dollars of undisclosed compensation from foreign investors seeking permanent U.S. residency through the EB-5 Immigrant Investor Program. The SEC’s complaint alleges that Jean Danhong Chen, Tony Jianyun Ye, and Law Offices of Jean D. Chen, with the assistance of a personal friend, Kuansheng Chen, secured over $10 million in undisclosed commissions by selling EB-5 securities to hundreds of Chen’s legal clients. The complaint also alleges that Jean Chen and Ye secretly acquired and operated an EB-5 regional center, Golden State Regional Center LLC, and later advised clients to invest in the center’s projects without disclosing their ownership interest. According to the complaint, Kai Hao Robinson assisted in the scheme by posing as the sole manager in control of Golden State when she was in fact merely a figurehead controlled by Jean Chen and Ye. After learning of the SEC’s investigation, Jean Chen and Ye allegedly backdated documents and scrubbed other business records to conceal their role in the alleged scheme. “Ms. Chen’s alleged self-dealing breached her clients’ trust and violated the federal securities laws,” said Melissa R. Hodgman, Associate Director of the Division of Enforcement. “Where conduct harms investors in our markets, attempts to stymie our investigation by fabricating evidence and withholding documents will not deter our efforts.” The SEC’s Office of Investor Education and Advocacy has issued an investor alert describing steps that can be taken to research EB-5 offerings. The SEC’s complaint, filed in federal district court in the Northern District of California, alleges that the defendants violated or aided and abetted violations of antifraud provisions of the federal securities laws, and that certain of the defendants violated or aided and abetted violations of registration provisions. The complaint seeks permanent injunctions, disgorgement, prejudgment interest, civil penalties, and the appointment of a receiver. The SEC’s investigation was conducted by D. Ashley Dolan, Sarah M. Hall, and Heather A. Powell and supervised by Melissa A. Robertson of the SEC’s Washington, D.C. office. The litigation will be led by Kenneth W. Donnelly. The SEC would like to thank the U.S. Citizenship and Immigration Services for its assistance in connection with this investigation. 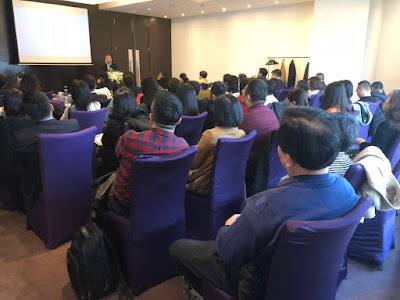 (Source: Wolfsdorf Rosenthal) On April 23, 2018, Mr. Charlie Oppenheim, Chief, Immigrant Visa Control and Reporting, Department of State (“DOS”) spoke at an EB-5 Industry Conference regarding visa waiting lines for EB-5 investors. He indicated that applicants chargeable to mainland China and Vietnam now face visa backlogs for the foreseeable future, and that visa backlogs for nationals of India, Brazil, South Korea, and Taiwan are expected by the summer of 2019. 3. India. 375 EB-5 visas have been issued to Indian nationals from October 2017 to June 2018. Yet industry data and anecdotal evidence confirms that Indian EB-5 investment has increased significantly over the past year. Moreover, demand from Indian nationals in EB-5 remains high because of the extremely long visa backlogs for other employment-based categories like EB-2 and EB-3. Oppenheim anticipates a final action date for India EB-5 “no later than June 2019” and likely earlier. The 2018 US China Blockchain and Digital Currency Conference at LAX Marriott Hotel on August 22, 2018 is organized by Blockchain China Connect, Artisan Business Group, Inc., and partnered with FundingPost.com. Event sponsors include WONO, a reliable decentralized peer-to-peer platform for exchanging property and services and LIQNET, an exchange with unique liquidity aggregation technology. The conference is the only Sino-US investment and funding focused event for blockchain and cryptocurrency industry. Hundreds of blockchain entrepreneurs, investors, bitcoin mine operators, traders, and legal taxation experts are expected to attend, and it will provide a great platform for peer-to-peer networking and exploring investment, finance, business and collaboration opportunities between the U.S., China, Russia and other countries. More than 25 expert speakers from both countries will cover a variety of hot topics such as blockchain technology, startup investment, capital raising, ICOs, bitcoin mining, virtual currency trading, SEC compliance, legal and taxation, etc. Expert speakers and panelists include Joe Rubin, Co-Founder and Managing Director of FundingPost.com; Xiahong Lin, Founder of Bodhi; Dr. Ann Shin, Founding Partner of UltraFund Capital; Han Liguang, Founder of RedCoin Global Public Digital Currency Exchange; Richard B. Levin, Shareholder of Polsinelli; Jeffrey Levinson, CEO of Securitech Blockchain Industries; Jor Law, Co-Founder of Verify Investor; Graeme Moore, VP of Marketing at Polymath; Matt Miles, Founder & Co-CEO of Property Coin; David W. Klasing, Founder & Managing Attorney of The Law Offices of David W. Klasing; Brian Su, CEO of Artisan Business Group; Andrew Zapotochnyi, North America Representative at CoinTraffic; Steve Anapoell, US Securities Attorney; Tyler McKay, President of Blockchain China Connect; Rob Tiv, President & COO of SonicMessenger; Gan Zhang, Partner at RTF; Harley Dou, Managing Director at Tang Wealth; Ralph Liu, Founder & CEO of MuleChain and Advanced e-Financial Technologies, Inc.; Jonathan C. Dunsmoor, Of Counsel Reid & Wise; Alexander Esaulov, Founder & CEO of WONO; Andrey Chepelev, COO of WONO; Colin Wu, CEO of Hong Kong Intellectual Property Exchange; Roc Wang, Founder & CEO of DeepChain; Pavel Cherkashin, Co-founder of Mindrock and Managing Partner of GVA Capital; Ludger Hemesath CSO of SonicMessenger; Paul Dong, Founder of SunetX; Andy Wang, Founder of FutureChain Technologies. Industry media partners from China and the US will cover the event such as FundingPost.com, Fintech Finance, ShenlianCaijing, Bitcoin Chaser, ICO Buffer, SnipersTube, Bitcoin.com, 5Bite.com, 55HuDong.com, ICO Holder, Coin Delite, Blockchain Daily News, CoinMarketPlus, Belink Communications, Jgy.com, BTC Manager, CoinPedia, Bitcoin86.com, BraveNewCoin, TheCryptoCoinCenter, The Daily Hodl, Wanlianzhijia, Chaintiao, Blockchain Business Index, Dayqkl.com, JCNNewswire.com, Adglink.com, ACNNewswire.com, CoinPoint, Smartereum, US China Business Association, NewsyPR, ICO link, Altcoin Alerts, ICO Goals, Crypto Reporter and Casino Bitcoins. There will be lively discussions about the future of Bitcoin, Ethereum, Litecoin including conversation about the most popular coins in China such as NEO, VeChain, Wanchain, EOS and more. Other topics include how to attract Chinese investors for your project, marketing ICO worldwide, real estate Investing through ICOs, bitcoin trading and mining tax laws, updates on Chinese cryptocurrency regulations, and US securities & regulations impacting ICO such as Reg D., Reg S. Reg A+, KYC and AML. ICO pitch, exhibitors and sponsors are welcome. Contact us at info@BlockchainChinaConnect.com for details. Log on http://www.BlockchainChinaConnect.com for registration and event information. Mr. Paul Dong, Founder & CEO of Sunex, Blockchain Global Real Estate Investment Platform. 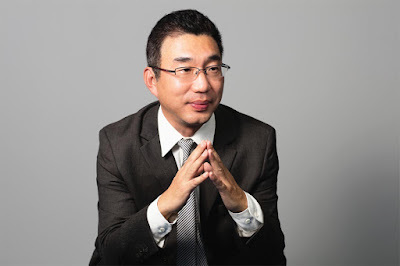 Founder of Chemmerce，who has won venture capital investment from Morgan Stanley and AsiaCommerce. He is President of Sunet Group, and partner of Century 21 real estate company Realogy, a Fortune 500 company. 16 years of real estate overseas investment and overseas real estate asset management experience, and is PropTech expert. Dual Masters of Finance and Information Technology from the University of Texas, USA。Mr. Dong travels frequently to Asia and Europe to discuss blockchain investment and business opportunities. (Source: EB-5 Insights) On June 11, 2018, USCIS announced that Petitioners who file Form I-829 Petition by Entrepreneur to Remove Conditions on Permanent Resident Status, will receive a Form I-797 receipt notice that can be presented with their Form I-551, Permanent Resident Card, as evidence of continued status for 18 months past the expiration date on their conditional Permanent Resident Card. Previously, USCIS only issued receipt notices that would be valid for 12 months past the expiration date on the conditional Permanent Resident Card. USCIS made the change from 12 to 18 months to reflect the current processing times for Form I-829, which have increased over the past year. Artisan Business Group team will be traveling to China this weekend for a one month long fact finding and business trip. Multiple meetings and business events will be held with family offices, wealth managers and migration agencies in Beijing, Shanghai, Wenzhou and Shenzhen. The team will also explore business and investment opportunities within blockchain technology industry which has gained major exposure and worldwide attention after Chinese government banned Bitcoin exchanges and virtual currency tradings in China early this year. Artisan Business Group is hosting 2018 US China Blockchain and Digital Currency Conference in Los Angeles on August 22. To learn more about new business and investment market in China, contact us today. 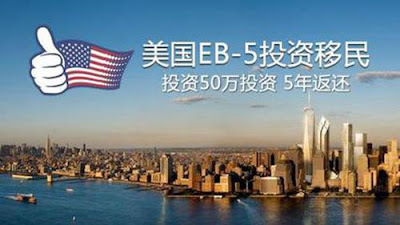 Chinese EB-5 investors are losing patience due to long waiting line, a result of retrogression. The Chinese market has reflected such impatience. The market is very slow, even the large immigration agencies have difficulties of recruiting investors, the rumor is one of the top five leading agencies have decided not to promote EB-5 projects, instead real estate sales will be the key revenue generator. In some cases, investors demand refund of investment capital, their hired gangsters show up at migration agency's offices to scare company owners and make threats to employees. In some cases, senior executives at migration agencies either flee or hide, and a few people got beaten up. Investors also know how to use Chinese social media such as Wechat groups, weibo mini blogs to attack migration agency and project developers as well as regional centers. It is also common some investors would hire US attorneys to file lawsuit against regional centers or project developers. When things get worse, Chinese investor groups would show up at the doorsteps of regional center offices and developers. It may get ugly or even violent. Regional centers should not be surprised if Chinese investors show up at your office or even house one day. To learn more about Chinese investors market and its trends, contact us today. China update: are investors abandoning EB-5 program? In recent months, Chinese immigration agencies are calling upon their clients to file a petition with the White House, it is reported over 10,000 investors and stakeholders are signing the online petition. Obviously EB-5 market in China is extremely slow and pretty much dead. Families with older children are less willing to consider EB-5 program. A few families with minor children are still in favor of EB-5 program. However, retrogression is a key concern. Many immigration agencies around China are replacing their core business from EB-5 promotions to real estate sales in Thailand and Cambodia. Even some of the largest leading immigration agencies are devoting their efforts in promoting real estate deals in Asia and Europe. For the US market, some Chinese clients are exploring EB-1C or NIW type of visas though many of them are not qualified. Due to long time retrogression, more investors from China have been demanding for refund. The lack of legislative actions in the US congress is a major road block for many potential EB-5 investors, we are not expecting anything to be done soon this year. It is pretty soon that Vietnamese and Indian investors would be facing the same retrogression issues. The majority of Regional Centers will be forced out of business as large projects will never see sufficient EB-5 funding if the US Congress continue to be inaction with EB-5 program. For last five years, Chinese investors have overwhelmed the EB-5 program and have resulted in tens of thousands of petitions. However, since last year there is a sharp decline of investors from China due to retrogression and tighter control of foreign exchange by Chinese government. It has been quite difficult for Chinese citizens to sign up EB-5 program as many investors would not be able to get their funds or path of fund verified as USCIS required. Instead of coming to the US, many investors have discovered their new interest in investing in Thailand, Cambodia, Malaysia and other European countries. Despite uncertainties around the EB-5 immigration investor program, some Chinese families with young children are still interested in investing in the program and setting up their children's education plan. Families with teenager are encouraging their teens to file EB-5 petitions on their own before Trump administration eventually closes door of the US, as many people believe that President Trump's immigration policy is not quite friendly to wealthy investors. The Ministry of Commerce of the People's Republic of China and Shanghai Municipal People's Government will be hosting China's largest import trade show -"China International Import Expo" at the Shanghai National Exhibition and Convention Center November 5-10, 2018. It is a significant move for the Chinese government to hold CIIE to give firm support to trade liberalization and economic globalization and actively open the Chinese market to the world. It facilitates countries and regions all over the world to strengthen economic cooperation and trade, and to promote global trade and world economic growth in order to make the world economy more open. Artisan Business Group is planning to organize a trade mission to China, if you are interested in exporting your product to Chinese market, contact us today at mailbox@artisanbusinessgroup.com.